Firm’s Partners Present at AALA Conference in Albuquerque | Lawler & Swanson, P.L.C. Earlier this week, Lawler & Swanson, P.L.C. 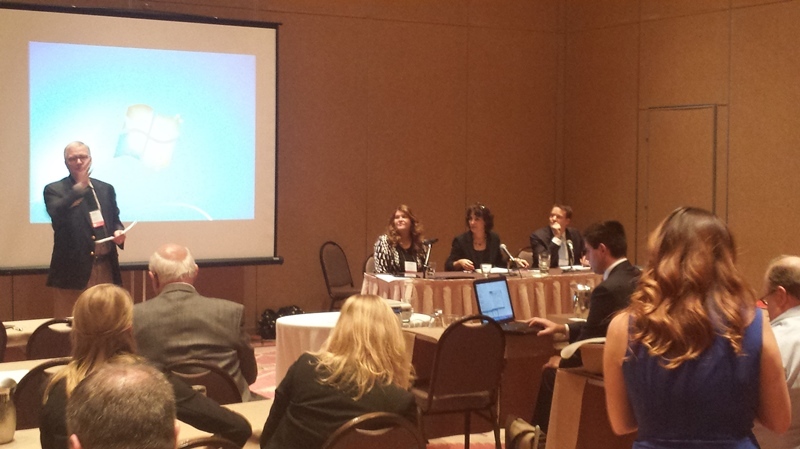 attorneys attended the American Agricultural Law Association’s Conference in Albuquerque, New Mexico. Both of the partners of the firm, Amy Swanson and Thomas Lawler, both former Presidents of the national association, presented on panels during the conference. On Tuesday, Amy Swanson provided an update and overview of state estate and inheritance taxes. Iowa currently has an inheritance tax for certain beneficiaries of a deceased, Iowa resident. Tom Lawler moderated the estate-planning panel, which included Attorneys Sally D. Babbitt of Lasky Fifarek, PC in Lansing, Michigan and Ross Bruch of Saul Ewing, LLP in Philadelphia. In the concluding presentation of the conference, Tom Lawler helped lead a discussion on the ethical question of when a lawyer should disclose information a client has discussed regarding an illegal occurrence in an agricultural setting. Joining Tom was moderator Prof. Leon Geyer of Virginia Tech University and co-panelists Stephen Guardipee of the Charlotte School of Law and John Dillard of Olsson, Frank, Weeda, Terman, Matz, PC of Washington, D.C.
Next year’s AALA conference will be held in October in Charleston, South Carolina. We look forward to seeing you there!